In the Round of 16, the hot phase of the UEFA Champions League 2017/2018 season is breaking: 16 teams are still in the running for the crown in European club football. 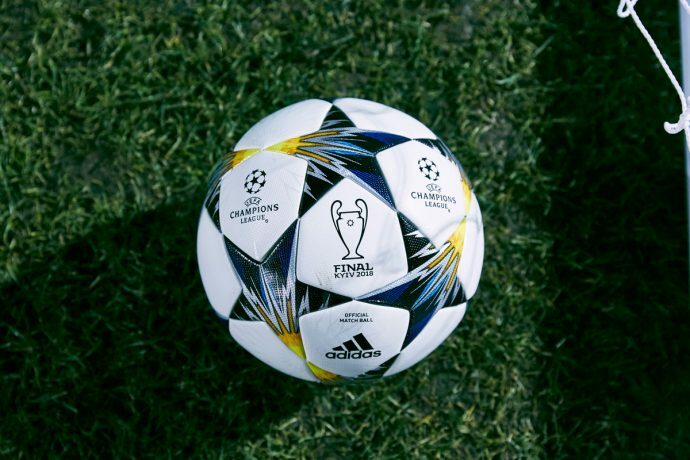 adidas Football unveiled the official match ball for the knockout rounds, inspired by the venue of the final: Kiev. The design of the new ball picks up elements of the NSK Olimpiyskyi, in which the finale will take place on May 26: the yellow and blue seats of the stadium can be found in the color scheme, the skylights on the roof appear abstracted as an illustration. The elements are visible on the star-shaped adidas panel design, which is again inspired by the official logo of the UEFA Champions League. The outer layer of the ball consists of a seamless surface, which offers optimum playability in all weather conditions and creates the best conditions for optimum ball control and an improved first touch. The ball rolls over the pitch for the first time in the games on Tuesday, February 13.